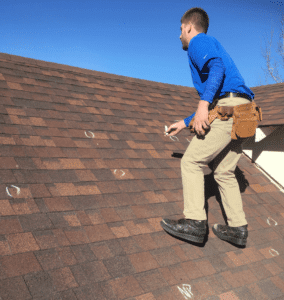 New Roof Plus is a locally owned and operated Colorado roofing and exterior company, dedicated to building strong healthy relationships and beautiful new roofs across the Front Range. We work to build trusting relationships with homeowners and building owners on the installation of roofs PLUS other exterior installations like gutters, siding, windows, decks and more. Managing partner, Greg Jones, was raised here in Colorado, attended Highlands Ranch High School and chose to raise his family in the same town. 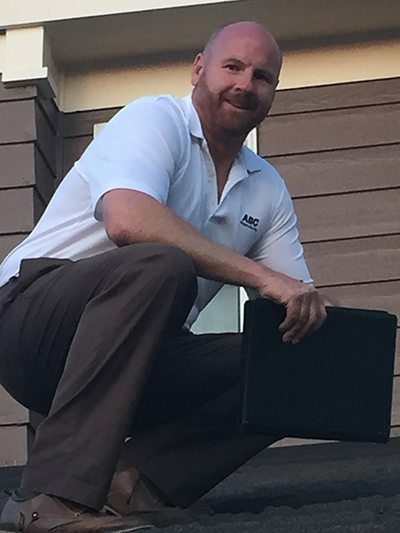 He has years of experience in the roofing industry and is Certified with Haag at the highest level as a Residential Roofs Inspector and a Commercial Roofing Inspector. Greg also has several Colorado state and local construction licenses. Greg’s passion is to fundamentally change the roofing business from one that fights the insurance industry to one that works with your Insurance provider. We have learned that this approach to doing business maximizes and delivers the greatest protection that home and building owners have through their insurance coverage. Our strong relationships with Insurance and Real Estate agents across Colorado gives you the comfort and assurance that you selected a solid roofing company who does great work and will be available again when you most need them. Agents only work with trusted partners that they can rely on again and again, so their trust in us means and says a lot for you. Insurance fraud is rampant and many roofing companies can be held accountable for this problem. The roofing industry is rife with stories of fly by night companies driving from out of state to Denver or Colorado Springs after one of our famous hail storms, setting up shop for a few months to sell some roofs and then disappear before they have to be held accountable. Make sure your contractor is TRULY LOCAL, like New Roof Plus. Our goal is to lead the change for a better way of doing business in roofing. A better way of accountability. We know how we can start this movement and it begins with one high quality installed beautiful roof at a time from New Roof Plus. Our goal is to bring more of our fellow contractors alongside us who also run their companies and their lives to a higher standard. If you are a building owner, be it a residential home or commercial building, we would honor the opportunity to discuss your roofing needs. 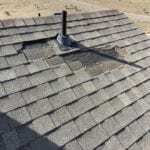 Our roof inspections are always free and our estimates for repair are also free. We treat every customer with the goal of a perfect experience for them. We set the bar at the highest level to push our company to be the best roofing and exterior company in Colorado and beyond. Our expectations are that you will be well informed and comfortable throughout the process of having your roof inspected, your roofing system selection, your roofing replacement and finally your completed roofing project. We will seek your input into your experience; how we did, how we could do better and and if you would refer us to others in the future. Our reputation is our legacy and it is our greatest asset for growth and success for our company and our employees. With years of working with Insurance adjusters and agents, we have learned that to best serve our customers we must serve the Insurance adjusters and Inspectors with quality information. Our expertise in storm damage recognition is valuable to Insurance adjusters and inspectors, helping them do a the best job possible for their customer – you. We have the knowledge to recognize the difference between claim worthy damage and incidental damage that is not claim-worthy. We have learned how to provide the information required to make an informed and proper decision. We also know when and how to fight on behalf of our client. Sometimes it takes more effort than others to prove a situation deserves another look. We always aim to do what’s right for the property owner. If a property was damaged from a storm and the adjuster doesn’t feel it a valid claim and we do, we will not quit just because the adjuster doesn’t see it…yet. Often times it just means we need to restate our evidence or find additional evidence or get another expert opinion from an neutral third party. If the claim is valid we will do whatever we can to help get you what you deserve. We are not legal advice nor do we claim to represent the client in any legal capacity. Where our value comes in to play for you is that we are looking at roof damage from storms every day and our vast experience gives us insights that others do not have. It’s a fact that in a large storm situation, Insurance companies need more adjusters than they can find. They hire new adjusters and send them out to do inspections very quickly. These folks need our help. They need our eyes to help them see the damage. Damage can be subtle at times and a professional like us can be a great assistance. Again, our mission is always to do what is right. If the damage is claim-worthy, we will get to work to ensure the case is presented with all the facts to accomplish the goal of full value from your insurance policy. Our home office is located in the Denver Metro Area but we work across the entire state. So if your home or building is located in Colorado Springs, Fort Collins, Denver, Lakewood or anywhere in Colorado, we can work on your project. We are also able to work on many different types of roofs. On residential homes there a myriad of roof material options ranging from the standard composite roof to metal roofing to new advanced roofing materials that are guaranteed for 50 years and hail proof. On commercial buildings there are many different roof systems we have experience working on. So no matter where you are in Colorful Colorado, or what your roofing needs might be, we can help. Our name is New Roof Plus. The “Plus” part means many different things. It means we want you to give us a Plus on your reviews. It means we go the extra mile to do a great job for you. The Plus also means we do more than just roofing. We also do siding, windows, gutters and other exterior projects. We would be honored to have the opportunity to work on your next project and earn a Big Plus review from you. Please give us a call and we can arrange a no cost obligation free analysis of your buildings exterior needs.